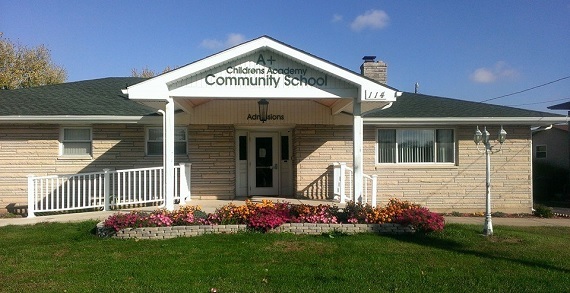 Join A+ Children’s Academy for a Back to School Rally on Friday, August 19th from 6:00pm to 7:30pm and will be held at our school camps at 114 Obetz Road (just off High Street on Obetz Road, between the Obetz driveway to Bob Evans and the school campus.) The event is FREE and open to the community! A+ Children’s Academy will be offering opportunities to think about and prepare for a successful year of growth and learning. “Roads to Success” activities for this event include: Health and Wellness, Personal Commitment, Supplies and Attitudes, School Culture, Collaboration and Team Work, and Personal Safety. What makes A+ Children’s Academy unique is that it emphasizes the fine arts as an aid to teach all core subjects, so the student can utilize both sides of their brain to retain the knowledge through experiential learning. By teaching children how to read music, doors open to their creative side, which will help them grown in their core subjects, including reading and math. A+ Children’s Academy does not audition children, and it is not their intention to try to create superstars. The mission is to provide children with an education that is experiential and will be applicable to the child’s growth throughout their educational and professional careers. The SACC Program (Latchkey) serves families by providing quality programming for elementary and intermediate school children before and after school hours. There is no cost for breakfast or lunch. A+ Children’s Academy wants to ensure that all children are provided with healthy meals. A+ Children’s Academy is delighted you’re considering A+CA for your child’s education. Waiting lists have started for the 2016-2017 school year. ACT NOW!